Francois-Xavier Lalanne was born in Agen, France, and received a Jesuit education. At age 18, he moved to Paris and studied sculpture, drawing and painting at Académie Julian. In 1948 Lalanne worked as an attendant at the Louvre in the Oriental Antiques section. Francois-Xavier rented a studio in Montparnasse], next door to friend Constantin Brâncuși, after completing mandatory military service. Brâncuși introduced Lalanne to artists such as Max Ernst, Man Ray, Marcel Duchamp, and Jean Tinguely. He met Claude Lalanne at his first gallery show in 1952. The show signified an end of painting for François-Xavier as he and Claude began their career sculpting together. The Hôtel de Ville in Paris, France, is the building housing the city's local administration, standing on the place de l'Hôtel-de-Ville in the 4th arrondissement. The south wing was originally constructed by François I beginning in 1535 until 1551. The north wing was built by Henry IV and Louis XIII between 1605 and 1628.It was burned by the Paris Commune, along with all the city archives that it contained, during the Commune's final days in May 1871. The outside was rebuilt following the original design, but larger, between 1874 and 1882, while the inside was considerably modified. It has been the headquarters of the municipality of Paris since 1357. It serves multiple functions, housing the local administration, the Mayor of Paris, and also serves as a venue for large receptions. Les Halles was Paris's central fresh food market. It was demolished in 1971 and replaced by the Forum des Halles, a modern shopping mall built largely underground and directly connected to the massive RER and métro transit hub of Châtelet-Les-Halles. The shopping mall welcomes 150,000 visitors daily. Larry Rivers was an American artist, musician, filmmaker and occasional actor. Rivers resided and maintained studios in New York City, Southampton, Long Island, and Zihuatanejo, Mexico. Claude Lalanne became known to the larger public in France in 1976 when the singer Serge Gainsbourg selected one of her works, "The man with the head of a cabbage", for the title and cover of an album of his. Serge Gainsbourg was a French singer, songwriter, pianist, film composer, poet, painter, screenwriter, writer, actor and director. Regarded as one of the most important figures in French popular music, he was renowned for his often provocative and scandalous releases, as well as his diverse artistic output, which embodied genres ranging from jazz, mambo, world, chanson, pop and yé-yé, to rock and roll, progressive rock, reggae, electronic, disco, new wave and funk. Gainsbourg's varied musical style and individuality make him difficult to categorize although his legacy has been firmly established and he is often regarded as one of the world's most influential popular musicians. Les Lalanne are represented by the Paul Kasmin Gallery in New York City and Ben Brown Fine Arts in London. Paul Kasmin Gallery is a New York City fine art gallery, founded in SoHo in 1989. Kinsella, Eileen, "Sotheby's Boosts Private S|2 Sales With London Hires, NYC Lalanne Show," Artinfo, 10/7/13. Gross, Michael Joseph, "Grass Station," The New Yorker, 9/24/13. Cochran, Samuel, "François-Xavier Lalanne's Mouton Sculptures Go On View at 'Sheep Station'," Architectural Digest, 9/18/13. Grey, Tobias, "Next to Nature, Art," The Wall Street Journal, 6/20/13. La Ruche was an artist's residence in the Montparnasse district of Paris. It now hosts around fifty artists and stages art exhibitions open to the public. 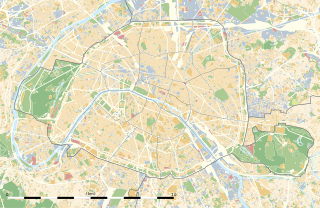 The 15th arrondissement of Paris is one of the 20 arrondissements of the capital city of France. In spoken French, this arrondissement is referred to as quinzième. Arman was a French-born American artist. Born Armand Fernandez in Nice, France, Arman was a painter who moved from using objects for the ink or paint traces they leave to using them as the painting itself. He is best known for his "accumulations" and destruction/recomposition of objects. School of Paris refers to the French and émigré artists who worked in Paris in the first half of the 20th century. The year 1924 in art involved some significant events and new works. Xavier Veilhan (1963) is a French artist who lives and works in Paris. His work includes photography, sculpture, film, painting and installation art. The Kiss is a sculpture by Romanian Modernist sculptor Constantin Brâncuși. It is an early example of his proto-cubist style of non-literal representation. François Antoine Maxime Lalanne was a French artist known for his etchings and charcoal drawings (fusain). Joseph Csaky was a Hungarian avant-garde artist, sculptor, and graphic artist, best known for his early participation as a sculptor in the Cubist movement. Joseph Csaky was one of the first sculptors in Paris to apply the principles of pictorial Cubism to his art. A pioneer of modern sculpture, Csaky is among the most important sculptors of the early 20th century. He was an active member of the Section d'Or group between 1911 and 1914, and closely associated with Crystal Cubism, Purism, De Stijl, Abstract art, and Art Deco throughout the 1920s and 1930s. Modern sculpture is generally considered to have begun with the work of Auguste Rodin, who is seen as the progenitor of modern sculpture. While Rodin did not set out to rebel against the past, he created a new way of building his works. He "dissolved the hard outline of contemporary Neo-Greek academicism, and thereby created a vital synthesis of opacity and transparency, volume and void". Along with a few other artists in the late 19th century who experimented with new artistic visions in sculpture like Edgar Degas and Paul Gauguin, Rodin invented a radical new approach in the creation of sculpture. Modern sculpture, along with all modern art, "arose as part of Western society's attempt to come to terms with the urban, industrial and secular society that emerged during the nineteenth century". Jean Lambert-Rucki (1888–1967), a Polish avant-garde artist, sculptor, and graphic artist, was best known for his participation in the Cubist, Surrealist and Art Deco movements. He exhibited at the 1913 Salon d'Automne in Paris; from 1919 was represented by both Léonce Rosenberg at the Galerie de l'Effort Moderne and the art dealer Paul Guillaume. In March 1920, Lambert-Rucki exhibited at the second exhibition of la Section d'Or, Galerie de La Boétie, Paris, and participated in the first exhibition of l'Union des Artistes Modernes, where he would continue to show his works. Working in diverse styles and media, at times influenced by the tribal art of Africa, Lambert-Rucki became well known for his Cubist cityscapes. Iván Navarro is a Chilean artist who works with light, mirrors, and glowing glass tubes to craft socially and politically relevant sculptures and installations. As of 2019, he lives and works in Brooklyn, New York. Michael Shvo is a real estate developer based in New York City with offices in New York, London, and Dubai. He is the President and CEO of SHVO, a real estate development company he founded in 2004.
studioMDA, or Dochantschi Incorporated, is a multidisciplinary architecture and design firm, based in New York and founded in 2002 by Markus Dochantschi with the mission of challenging the boundaries of design. Between 1900 and 1913, Hector Guimard was responsible for the first generation of entrances to the underground stations of the Paris Métro. His Art Nouveau designs in cast iron and glass dating mostly to 1900, and the associated lettering that he also designed, created what became known as the Métro style and popularized Art Nouveau. However, arbiters of style were scandalized and the public was also less enamored of his more elaborate entrances. In 1904 his design for the Opéra station at Place de l'Opéra was rejected and his association with the Métro ended; many of his station entrances have been demolished, including all three of the pavilion type. 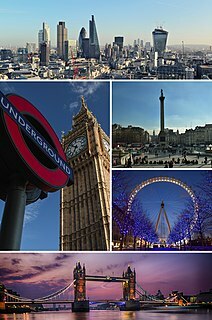 Those that remain are now all protected historical monuments, one has been reconstituted, and some originals and replicas also survive outside France. ↑ "Mort de Claude Lalanne, artiste de cœur et de bronze". www.lefigaro.fr. Apr 10, 2019. Retrieved Apr 10, 2019. ↑ Grimes, William (29 March 2010). "Francois-Xavier Lalanne, Sculptor of Surrealist Animals, is Dead at 81". New York Times. Obituary. ↑ Grimes, William (29 March 2010). "Francois-Xavier Lalanne, Sculptor of Surrealist Animals, is Dead at 81". NY Times. Obituary. 1 2 Slonim, Jeffrey. "Class Menagerie". Gotham Magazine. ↑ Andre Hoffman, La Creation Contemporaine, Paris et Ses Fontaines, de la Renaissance a nos jours. Collection Paris et son patrimoine, Paris, 1995. ↑ "The Art of Claude and Francois-Xavier Lalanne". frenchculture.org. ↑ "Animal, vegetable, mineral". The Economist. 8 April 2010. ↑ Viladas, Pilar (2 April 2006). "Living Treasures". New York Times. ↑ "Christie's Presents Largest Group of Lalanne Works Ever to be Offered". Art Daily. 1 2 Jose, Katherine. "Park Avenue Recession Art, by Lalanne". The New York Observer. ↑ "VIDEO: Lalanne's Grazing Sheep Take Over NYC Gas Station | BLOUIN ARTINFO". www.blouinartinfo.com. Retrieved Apr 10, 2019.